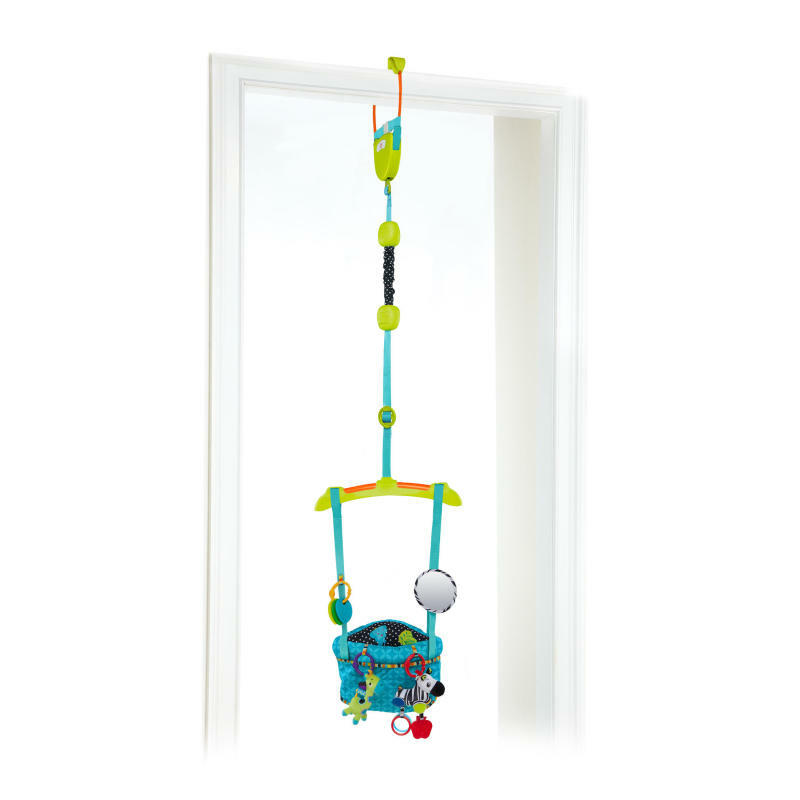 The Bright Starts™ Bounce 'n Spring Deluxe Door Jumper™ provides hours of bouncing fun for baby! The 4 playtime toys including a plush zebra and giraffe, teethers, and mirror, will entertain while baby jumps. The straps are adjustable for use as baby grows, and the soft prop pillow provides extra support for smaller babies. The light-weight frame makes transport easy. The seat pad is machine-washable.